Avocados are, without a doubt, my favourite fruit. I include them in meals wherever I can – must to the dismay of Laura because she hates them! 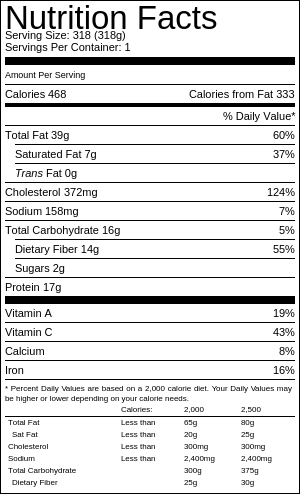 One of the many great things about avocados is the fact that they’re REALLY good for you. They’re high in omega 3 fatty acids which means they’re perfect as a breakfast meal, and they’re packed full of protein, fibre, vitamin C, A and B-6 (great for muscle repair). I usually have eggs for breakfast most mornings. I get through an alarming amount of eggs! Due to the fact that bread often gives me an upset stomach, I try to eat eggs on their own. This doesn’t always fill me up and I find myself looking for a snack at around 11am. 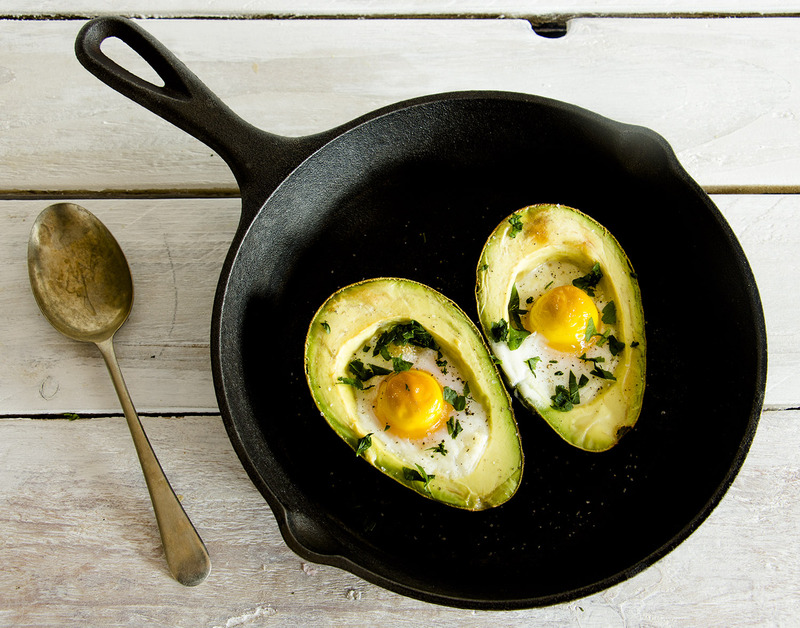 These avocado baked eggs fill me up perfectly. They’re also really easy to prepare when you’re in a rush. They honestly take no more than 3 minutes to prepare, and then it’s just a case of leaving them in the oven for 15 minutes. Just enough time for me to get a shower. One thing you’ll find is when you cook these is that they can be tricky to keep from toppling over. One way to avoid this is by actually cooking them in a muffin tray. Either that or you can just balance them up against each other. Preheat your oven to 425 Fahrenheit / 220 Celsius. Using a sharp knife, cut your avocado in half, removing the seed with your hands or a spoon. 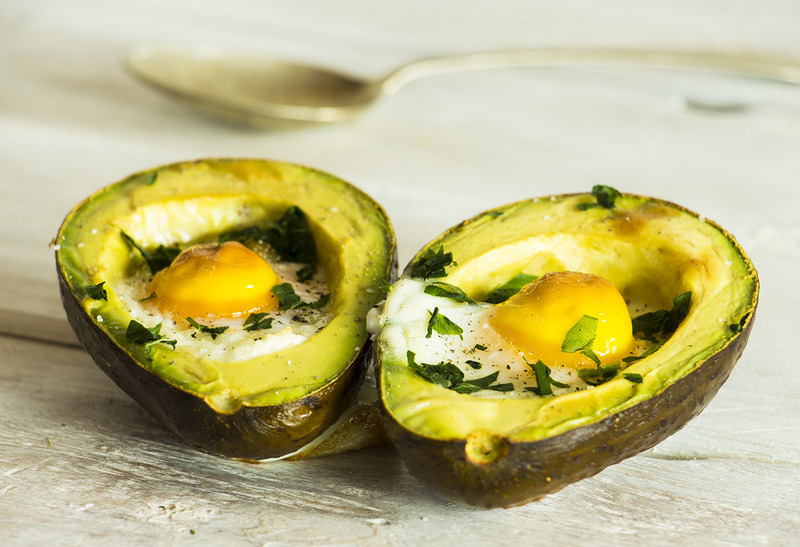 You'll want to scoop out a slightly larger hole within each avocado half to fit your egg in. This is relatively easy to do with a teaspoon. Squeeze over the juice of the lemon quarter on the tops of the avocado halves. This will stop them turning brown in the oven. Now crack your eggs into each of the avocado halves and add a pinch of salt and pepper to the top of each. Place them on a small baking tray or within a muffin tin (helps them stay stood upright) and put them in the oven for 15 minutes. Once they're ready, let them stand for 1 minute before serving them. Wow, this is so healthy. I don’t eat breakfast, I just have coconut oil with coffee, but I typically have 3 eggs for lunch. I can make 2 or 3 of these instead. how much coconut oil and how you take it? I put half to a tablespoon of coconut oil into coffee or tea, then use a frother to mix it well. Then just drink. Keeps me going to lunch time or dinner time. This looks wonderful! Thanks for sharing these recipes and meals plans. I have been a vegetarian in the past (and vegan for several years), but while raising kids, life got so crazy that our diet kinda went chaotic. I am really looking forward to trying a pescetarian diet, and these plans and recipes give me a great place to start! 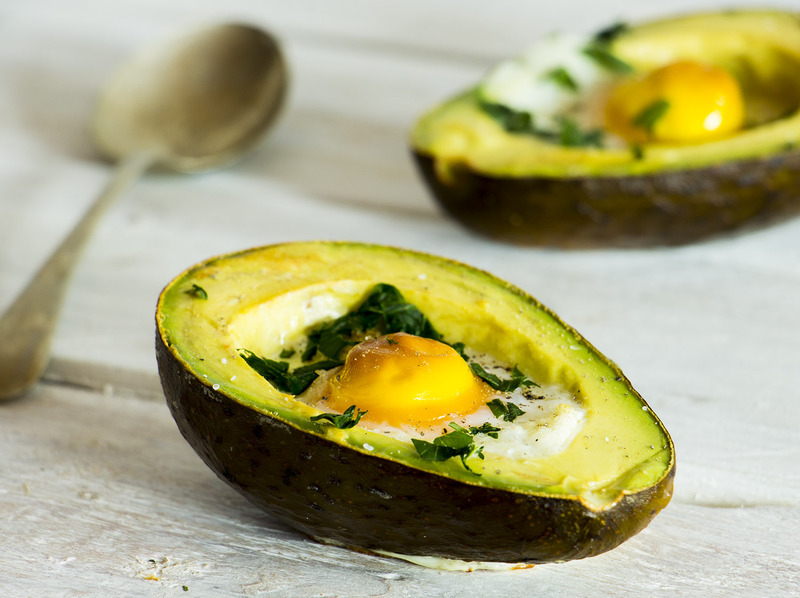 I tried this.. really good.. lost most of my egg trying to fit it in a small avocado, but still tasted great.. and easy to make.